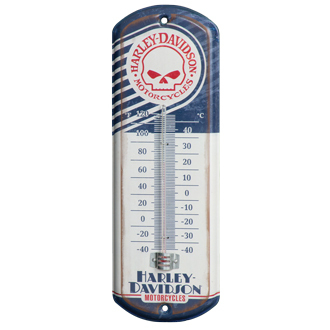 New mini size, classic reproduction thermometer combines the retro styling of H-D® Skull graphics with the practical function of a thermometer. Features durable metal design, fade resistant finish, and Fahrenheit/Celsius thermometer. Looks great indoors or out!